Linda Darling-Hammond is the Charles E. Ducommun Professor of Education Emeritus at Stanford University, where she founded the Stanford Center for Opportunity Policy in Education and served as the faculty sponsor of the Stanford Teacher Education Program, which she helped to redesign. Darling-Hammond is past president of the American Educational Research Association and recipient of its awards for Distinguished Contributions to Research, Lifetime Achievement, and Research-to-Policy. She is also a member of the American Association of Arts and Sciences and of the National Academy of Education. From 1994 to 2001, she was executive director of the National Commission on Teaching and America's Future, whose 1996 report What Matters Most: Teaching for America's Future was named one of the most influential reports affecting U.S. education in that decade. In 2006, Darling-Hammond was named one of the nation's 10 most influential people affecting educational policy. In 2008, she served as the leader of President Barack Obama's education policy transition team. 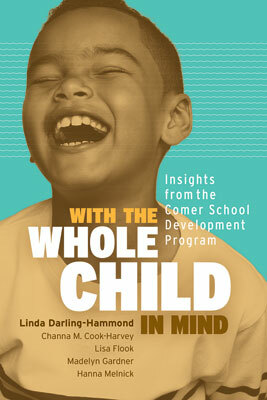 Linda Darling-Hammond, one of the country's foremost experts on K–12 education, and colleagues argue persuasively for the continuing relevance of Comer's School Development Program.